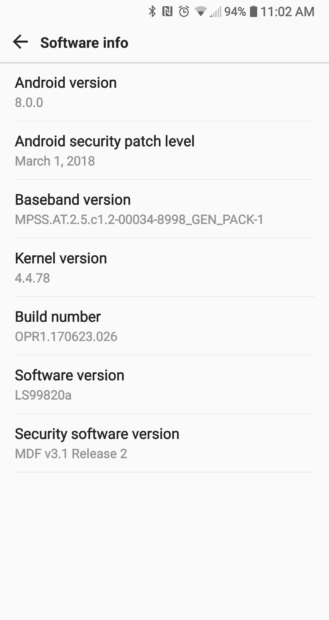 Sprint has started pushing out a new update to LG V30 units on its network. Weighing in at around 1.7GB, it's a major update that brings along Android Oreo. There's currently no information on whether or not any other major changes are included in the update - Sprint is yet to publish the release notes officially. The roll out has just begin, so it may take time for the update notification to pop up on your device's screen. This comes less than a couple of weeks after the Verizon V30 started getting the Oreo update. Who cares about LG actually ?